DIANNA STAMPFLER has been referred to as one of the most motivated, energetic and passionate leaders in Michigan’s tourism industry, with more than 25 years of marketing, public relations and media relations experience. She launched Promote Michigan in August, 2004 and has successfully established herself as an independent marketing representative for an impressive list of clients including Michigan Brewer’s Guild, Traverse Tall Ship Company, ShowSpan Inc. (including Grand Rapids International Wine & Food Festival, Michigan International Auto Show, Grand Rapids Boat Show and Ultimate Sport Show – Grand Rapids) and Mackinaw Area Visitors Bureau, among several others. In 2014, Dianna was named Executive Director of the newly formed Michigan Craft Distillers Association, the official association representing the state’s growing distilling industry. She is also Executive Director of the Kent County Hospitality Association, was recently voted to the board of the Michigan Hemingway Society, serves on the Ferris State University Hospitality Advisory Board, is a founding member of the Michigan Culinary Tourism Alliance and served two terms on the board of the Grand Rapids Downtown Market. In 2013, Dianna became a Michigan Certified Tourism Ambassador (CTA); in 2015 she received “The Best of Michigan Business” Award as a “One Person Wonder” and in 2016 was presented “The Golden Pineapple Award” from Ferris State University’s Hospitality Department. Over the years, Dianna has developed a niche in the culinary and agri-tourism markets, working with groups and events such as the Truly Michigan Vines, United Dairy Industry of Michigan, Michigan Apple Committee, Michigan Agri Tourism Association, Michigan Maple Syrup Association, Michigan Wine Council, Great Lakes Cider & Perry Association, Fulton Street Farmers Market, Epicurean Classic, Chefs Challenge and March of Dimes-Signature Chef Auction, as well as individual wineries, breweries, distilleries, cider mills and meaderies. 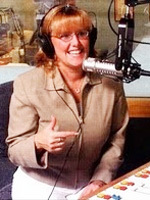 A radio broadcaster since the fall of her senior year in high school (1986), Dianna produces two programs – Promote Michigan and West Michigan Weekend – which air on WAKV AM980 in Plainwell. Each month, she is a guest on Travel Talk with Shelley Irwin on WGVU Public radio and is a frequent guest on various other radio and television shows throughout the state. Her freelance writing appears in each issue of Michigan Blue Magazine. She’s also been published in Michigan: The Great Beer State, Pure Michigan Travel Ideas, West Michigan Carefree Travel, Michigan HOME & Lifestyle, Grand Rapids Magazine, Grand Rapids Family, Michigan Meetings & Events, Michigan Wine Country, Country Lines, Tasters Guild International Journal, AAA Michigan Living and Lake Michigan Circle Tour Guide. She’s also an established blogger, contributing to a handful of sites on a regular basis, including the Pure Michigan blog. In the spring of 2019, Dianna will release her first book—“Michigan’s Haunted Lighthouses”—from The History Press which is a culmination of nearly 20 years of research, writing and presentation on the historic beacons around the state. 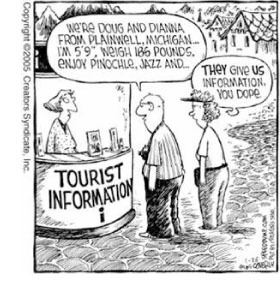 Prior to launching her own consulting company, Dianna served as the marketing and media director for the West Michigan Tourist Association (WMTA). During her seven years with WMTA, she developed the organization’s promotions department, representing nearly 1000 member properties, events and communities in a 41-county region. Before landing in the world of travel and tourism Dianna was the community relations coordinator at Otsego Public Schools, also serving as the advisor for the award-winning middle school student newspaper and middle school chairperson for the Michigan Interscholastic Press Association at Michigan State University’s School of Journalism. Dianna holds a Bachelor’s Degree in Communications (broadcasting) and English (community journalism) from Western Michigan University. A native of Plainwell, she is the mother of two adult children and lives in Walloon Lake. Dianna also is a regular guest on radio and television stations throughout the state.